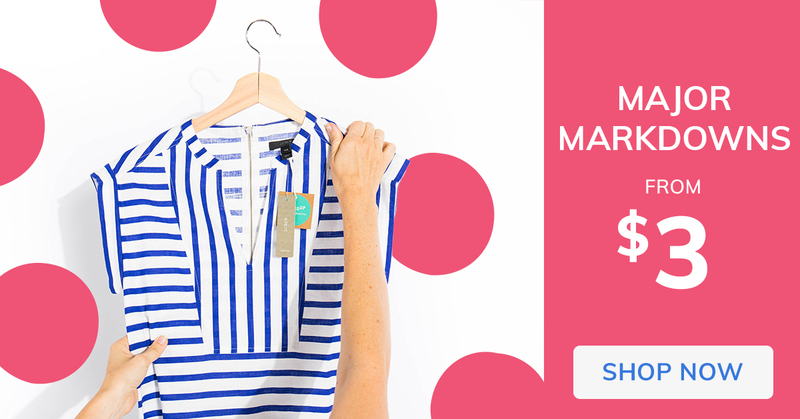 Sign up to get 30% off your first order! 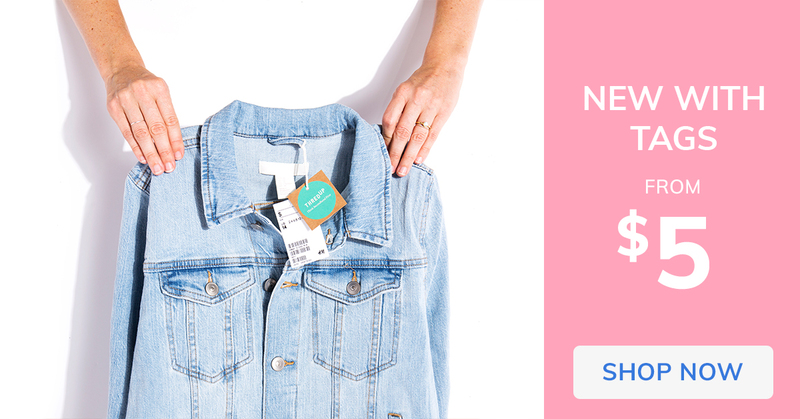 We’re the world’s largest online secondhand shopping destination with thousands of like-new styles from your favorite brands at up to 90% off estimated retail. We make sure every single one of the 15K new arrivals we add to the site every day is 100% authentic and in such good shape anyone could mistake them as new. No knockoffs here—just knockoff prices. 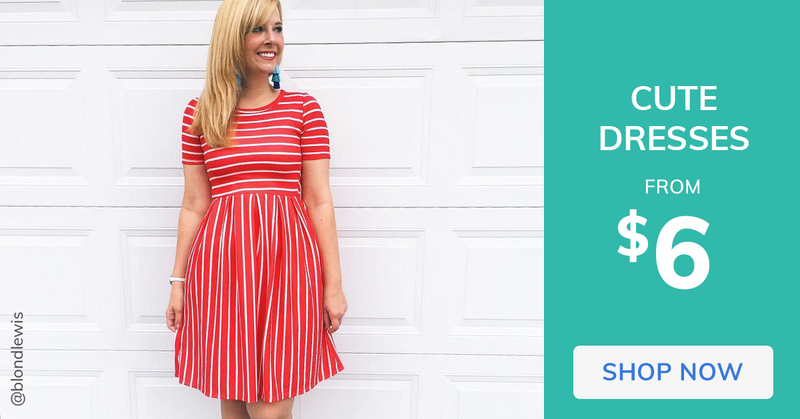 Find high-quality used women’s clothing and used children’s clothing from fashionable closets just like yours. Specially curated by our style experts. All third party brand names and logos appearing on this page are trademarks or registered trademarks of their respective holders. Any such appearance does not necessarily imply any affiliation with or endorsement of thredUP.